The newest tweak to Facebook’s News Feed algorithm, revealed Tuesday, strives for timeliness and accuracy. The social network announced in a Newsroom post that it will incorporate new signals to better identify and rank authentic content—another shot at fake news—as well as a new way to predict and rank when posts might be more relevant to users. These changes come just five days after the algorithm was adjusted to give more weight to what percentage of a video is being watched by users. With this update, we’re adding new universal signals to determine whether a post might be authentic. To do this, we categorized pages to identify whether or not they were posting spam or trying to game News Feed by doing things like asking for likes, comments or shares. We then used posts from these pages to train a model that continuously identifies whether posts from other pages are likely to be authentic. For example, if page posts are often being hidden by people reading them, that’s a signal that it might not be authentic. If a post is likely to be authentic based on the new signals we look at, it might show up higher in your feed. With today’s update, we will now take into account how signals change in real-time. 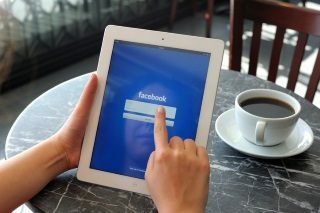 So now if there is a lot of engagement from many people on Facebook about a topic, or if a post from a page is getting a lot of engagement, we can understand in real-time that the topic or page post might be temporarily more important to you, so we should show that content higher in your feed. Lada, Li and Ding expect minimal impact for pages’ distribution, saying that some may see small upticks in referral traffic or outbound clicks, while others may see minor slippages. Readers: What are your thoughts on the latest changes to Facebook’s News Feed algorithm?